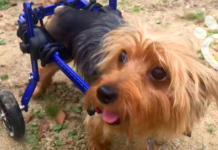 From bars to restaurants, almost everyone who visits 30A for vacation would conclude that our area is sincerely accommodating to canine companions. 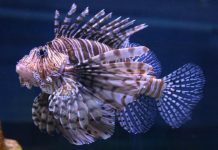 Likewise, locals love to bring their pets for an afternoon out for lunch or drinks. 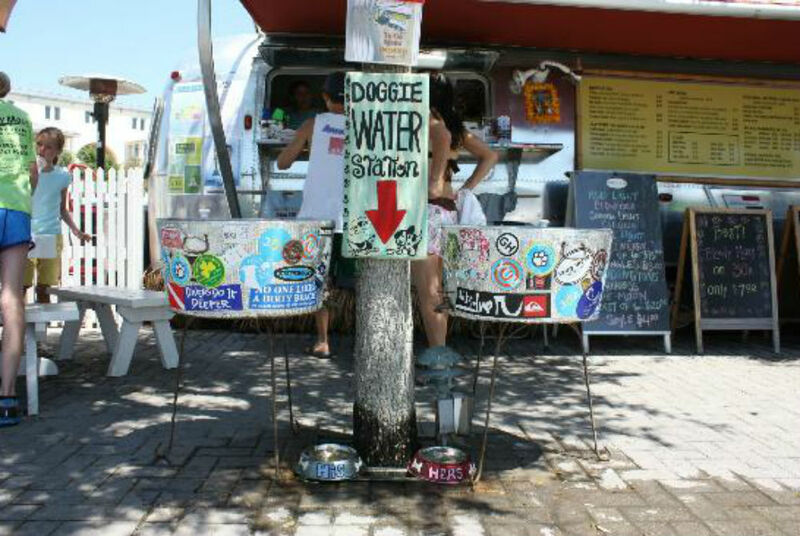 An overwhelming majority of the restaurants and bars on 30A welcome pet owners and their four-legged friends. 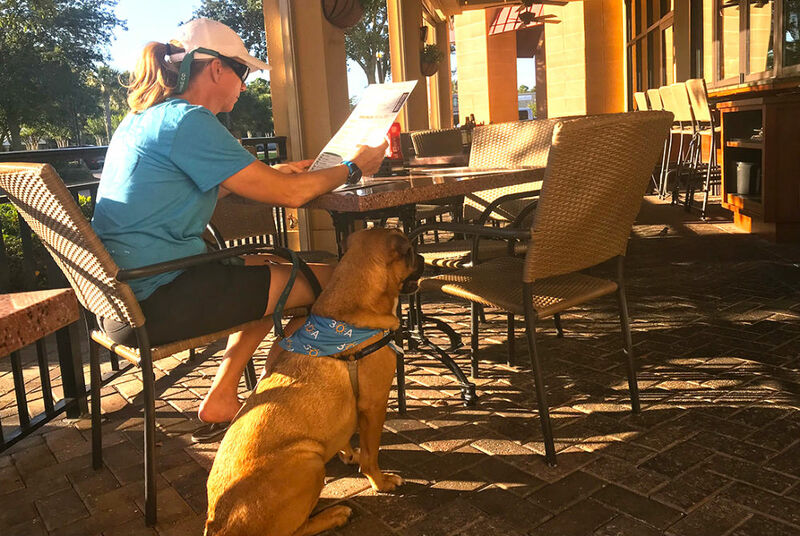 We’ve compiled the Ultimate List of Dog Friendly Bars, Coffee Shops and Restaurants on 30A, especially since more than half of all vacationers report they bring Fido along on their trip. 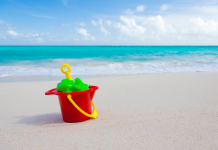 While dogs are seen strolling the cobblestone streets of Rosemary Beach and having treats in beachy bistros, don’t forget you must still have a permit to bring your dog on the beach. The establishments listed all allow dogs in the outdoor patio seating only. 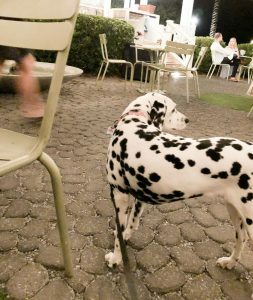 • Fonville Press – Walk fido right out onto this cozy patio with your coffee and breakfast sandwich. 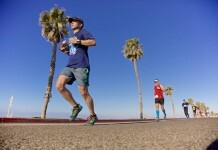 • Home to The Hub with a pet-friendly family vibe, it has a healthy helping of several food and drink options and outdoor seating available for you and your tag along. • Airstream Row: The line of airstream food trucks (Barefoot BBQ, Frost Bites, The Melt Down on 30A, Raw & Juicy, Wild Bill’s Beach Dogs, Five Daughters) lines Hwy 30A and is a haven for families and dog owners alike. You and your dog can grab some street fare or a cold beverage and take a stroll around the square. 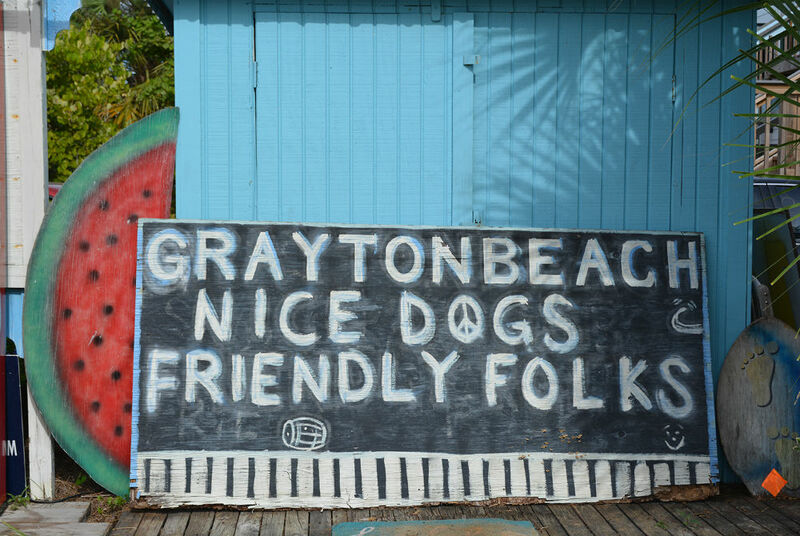 Likely the most prominent and proud dog-friendly village along 30A, Grayton’s unofficial slogan really says it all about the attitude toward our four-legged friends: “Nice Dogs, Friendly Folks.” Dogs are basically family here. 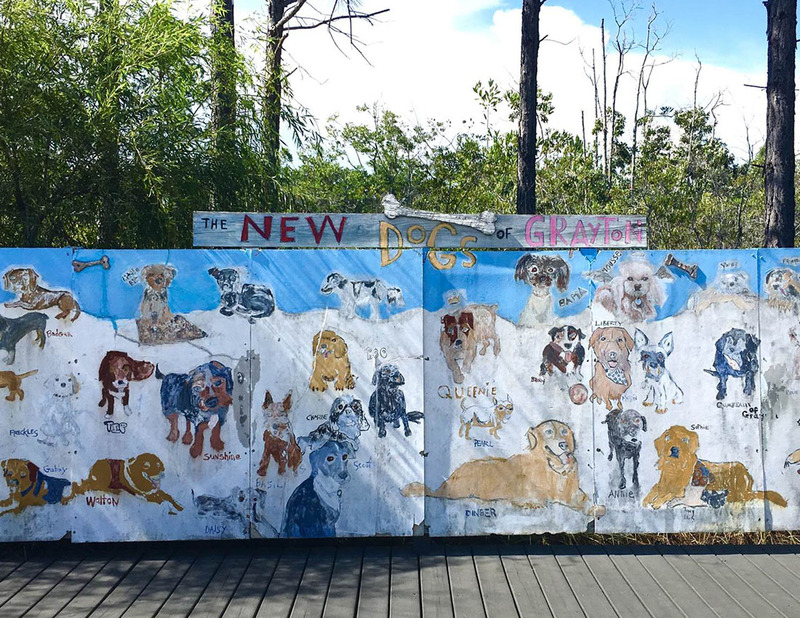 • Grayton Seafood Company – Not only has a pup friendly patio, but they’re so enthusiastic about sharing their space with your doggies, they pepper their Instagram feed with photos of their furry guests and their owners. Bowls for water and dog treats available. 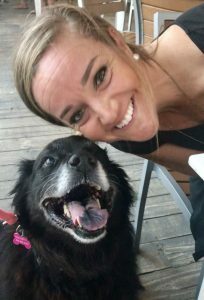 • Chanticleer Eatery – Friendly dogs are always welcome on the patio. • Grayton Beer Brewpub – An enormous outdoor patio means more room for all the friendly dogs, not to mention the terrific craft beers and food. • Redd’s Fueling Station – Grab a drink with your pup and hang out on the outside patio that is designated only for cocktails and drinks, no food service. • Basmati’s – Their screened-in patio hosts limited seating but will welcome dogs, call ahead for availability. • La Playa – Their expansive outdoor seating area that turns into a music venue every Thursday, offers plenty of room to dine with your dog. Bowls of water are available. When deciding whether to bring your dog with you for a bite to eat or cocktail, you’ve got plenty of options here on 30A. 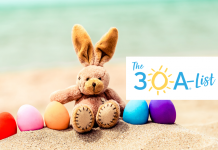 These businesses would love to see you and welcome them, so grab the leash and get out on 30A with your best friend. Please note that while each of these was confirmed with staff and management, things do change over time. Please don’t be upset if a place listed here stops allowing pets on their porches. We will update if you drop us a line. Did we miss a pet friendly establishment? Let us know. 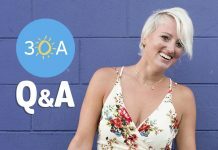 CAROLINE STEPHENSON is a contributing writer to 30A.